Through the end of this year (2012), Steiner is offering substantial rebates on a wide variety of Steiner binoculars. This year’s rebates range from $30 to $200, for the 27 Steiner binoculars listed below. To get your rebate, complete the Steiner Cash for Glass Rebate Coupon and send it, along with your original sales receipt and original UPC barcode, to: Steiner Cash for Glass Rebate, MPS Dept. No. 446-STNCASH 2012, P.O. Box 3250, Cinnaminson, NJ 08077. Note: No photocopies or mechanical reproductions of UPC barcode or sales receipt will be accepted. Mail must be signed and postmarked by January 31, 2013, and received by February 15, 2013, to be eligible for the rebate. Offer valid in USA only, and limited to one claim (rebate) per household. Share the post "“Cash for Glass” Rebates on Steiner Binoculars"
Zeiss Victory RF Binoculars recently received the 2010 Sporting Classics Award of Excellence. The Zeiss Victory 8×45 and 10×45 T* RF Binoculars, the world’s first premium binoculars with rangefinding capability, LED display and integrated BIS™ ballistic calculator, were described by Sporting Classics magazine as “the finest example of an integrated binocular and laser rangefinder yet manufactured.” While other binoculars, most notably the Leica GeoVid, have a built-in laser rangefinders, only the Zeiss Victory RF Binoculars provide a built-in Ballistics solver. Available in 8×45, 10×45, 8×56 and 10×56, the Victory RF Binoculars have also been recognized by National Geographic Adventure magazine, Outdoor Life and Gray’s Sporting Journal. Share the post "Zeiss Range-Finding Binoculars (with Ballistic Compensation)"
At SHOT Show 2009, we were impressed with the new Zeiss Victory laser rangefinder (LRF), listing it as one of the highlights of the 2009 Show. The Victory RF, claimed to be the world’s first premium binoculars with digital laser rangefinder, LED Display AND Ballistic Information System (BIS), also won the prestigious Red Dot Design Award in addition to the Chicago Athenaeum: GOOD DESIGN™ Award. Both are international awards that recognize the best design innovations of the year. • Ranges from 10 yards to 1,300 yards. • Integrated design — Victory RF binoculars are the world’s first binoculars with a hinge bridge that do not require a separate laser emitter. • Tightly focused Beam — The laser beam used in the Victory RFs is narrow with minimal beam divergence, so you can range small targets even at long distances. • Accurate “One-Touch” rangefinding for a steadier image. • Ballistic Information System (BIS) that automatically calculates required aiming hold-over at the ranged distance. What’s the downside of the Zeiss Victory RF binoculars? They cost a fortune. The Zeiss Victory 8×45 version retails for about $2900.00, while the 10×45 model runs about $3,000. That makes the Zeiss Victory RF Binoculars MORE Expensive than the Leica 8×56 Geovids which have a much larger objective, providing better low-light performance (and a larger exit pupil). And, you can get the smaller 8×42 BRF Geovids for $2245 at Adorama.com and other large online vendors. Are the 8×45 Zeiss Victory RFs worth $750 more than the 8×42 Leica Geovids? You’ll really have to make that decision for yourself. The Geovids are a known quantity, having proven themselves in the field over many years. The Zeiss Victory RF offers more sophisticated software (with the BIS), and we think the Victory is more secure and comfortable to hold. 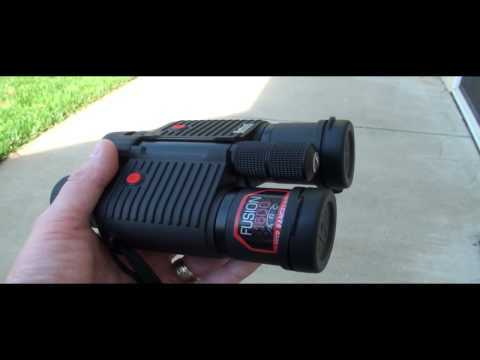 Share the post "Zeiss Victory RF Binoculars Win Optics Awards"